Offline games:Playing games not only relax you but it also helps your brain work properly. You can take a break from a day and have fun while enjoying your favorite games offline. In this article, we are providing a complete list of offline games that you can start playing in 2017. All the free and paid games given below in this guide. Offline mobile games are one of the best way to kill boredom. Unfortunately most of the mobile games need internet connection which isn’t possible always. Like when you traveling to some other place or enjoy vacations outside the town. So we recommend you no WiFi games free download for mobile. Sorcery! 3 is one of the best offline game for mobile devices. It comes with epic fantasy series of adventures for users to enjoy. If you haven’t played the first two Sorcery games, you can still enjoy Sorcery! 3 on your android and iOS devices. This epic adventure series is combination of combat, exploration & storytelling. If you fantasy games freak, definitely try out Sorcery! 3 game. Combo Crew is a action based offline game for mobile devices. The great thing about this game is that that you easily play with one hand. You only need taps and swipes for kicking, punching & racking up the combos. Even though multiplayer is mode available, but still you can enjoy this game without WiFi. Reckless Getaway another cool game to play offline. Stealing a bank is easy, but it is hard to get away. This idea brought into action in form of Reckless Getaway game. In this game, you have a trunk which is full of cash and your target is make a successful escape through traffic. After playing Reckless Getaway, you might get addicted to this game. Bloons Tower Defense 5 is another popular game on the list of offline games for smartphones. In 2007, as a flash game Blookns series started and then it got huge popularity worldwide. Since then it is now become one of the most popular games played on the internet and offline as well. It is one of those exciting games that kills boredom and gets you entertained. If you are looking for a hardest game to play offline? Well, you should definitely try Super Hexagon. It is one of those games which are really hard to play and average user lasts only three seconds in their first game. That great thing about this game is that you lose on your fault which make you try again and again. So Practicing again and again can help you to beat the game. We recommend you to play this game whenever you have free time. Thomas was alone is cool game to play offline which relates to history book. You can try this interesting game and can succeed. The developer remind the users that games can become an art as well. For the price of $4-5, this game definitely worth playing. 80 days is another cool offline game which feels like interactive story. Few users have played this game. And those who played, they know how exciting and wonderful this game is and worth the price you pay for this game. As the name suggest, in this game you have to build a boat. For this you will need to gather several things. These includes crew, treasure, money and other supplies. Once you built a ship which filled up with creatures and other stuff, it will make you become addicted to this game. 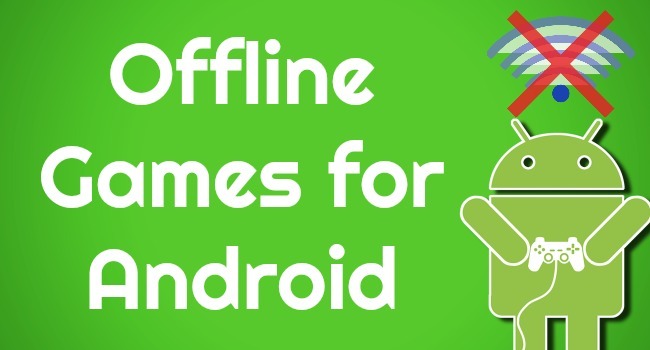 If you have android smartphone and looking for best offline games for android. Don’t forget to check out list of these android offline games to try in 2017 on your android device. GTA series is one of the most popular gaming services with billions of sales. It also has received hundred of awards being the top gaming series. You can enjoy GTA series offline games on your android device. All you need is to download apk and .obb file of your favorite GTA game. Install it on your android smartphone and then start enjoying this game. Brain it on is one of the best and most popular mentally challenging game. It is 2D physics game where you will need to perform simple structures with fingers to perform tasks. If you want to test your mental skills and creativity, then you should need to give a try to Brain it on offline game. Hill Climb Racing 2 is another amazing offline game that you can play without the internet. This game is an upgrade that comes hilly arcades and cars costumes for exciting hill climb. The players can perform back flips to balance the momentum and not fall during drive. This offline mobile game is free to download and you can get it from Google Play Store. Everyone loves playing Plants vs Zombies especially 2. Earlier the game developed for PCs. But later the game released for mobile devices in 2013. Since then millions of smartphone users love to play this game on their devices. Plants vs Zombies is an arcade game in which you have to repel zombies attacks with live plants. So that they will not be able to enter your home to eat your brain. This game will keep you entertained and you can get it on your android device as it is free to download. Minecraft is another adventure game where you can put your creativity. Get into this game world which allows you to make your own infinite virtual world using block cubes. Minecraft has various modes for the gamers to enjoy especially survival mode. Mojang developers have developed the Minecraft Pocket edition game. If you love play adventure games offline, we recommend you to try Minecraft. Flip Diving is one of the most popular cliff diving game for mobile devices. You can pull of back flips, front flips and can select your desired divers available. The game comes with tons of diving tricks , death flying locations and many characters. Apart from these things, you can record your best dives or fails and can share them with your friends as well. The best thing about Flip Diving is that it don’t need internet connection and you can enjoy it offline. Still Here is 2D fighting game that don’t need internet connection to play. The game is set in beautiful world where you have to discover a lot of secrets. Still here game has 8 awesome looking locations, two characters that you can play with. Also various challenging quests available where you have to discover mysteries. If you love tap to fly android games, Still here is a great choice for you. Ridge Racer Slipstream is classical game which takes racing experience to next level. You can choose from twelve different cars and also upgrade your vehicle as well. You can make dream car of your choice with 300 customization options available. The great thing about Ridge Racer Slipstream not only you can play it offline. But also you can have great racing while playing the game with your friends in multiplayer mode. Being an arcade racing freak you shouldn’t be missing this awesome android game. NOVA Legacy is a great game developed by Gameloft. The original game remastered and now you can enjoy that in form of N.O.V.A legacy. You will get amazing Sci Fi FPS gaming experience while playing Nova Legacy. The game supports both single player mode and multiplayer mode as well. Deer Hunter 2017 is one of the most popular shooting game. In this game, you have to hunt wild animals from all around the world. With perfect shots, master your shooting skills and take down predators. The game developed by same team who have created Deer Hunter 2014. Deer Hunter 2017 is free to download and you can play it offline as no internet needed for this game. we recommend you to give a try to Deer Hunter 2017 game. If you love playing adventure games on your android device, Horse Adventure is a new game that you can try in 2017. You can ride freely into the magical world for having epic adventure. Also you can take care as well as train your horses as well. Apart from these, customizing options are also available for hero & horses. Become the best horse rider for helping ancients and solving the mysteries. King of Dirt is a action based scooter game where you have to perform sick stunts. This extreme sports game is a great choice for bike enthusiasts which the can play in free time offline. Around 10 dirt trials, 6 amazing bikes and 1 scooter and a lot of epic challenges available in the game. So download King of Dirt right now to kill boredom or playing in free time. Island Delta is another awesome action packed adventure game. In this game, you will have anti gravity power weapon for defeating your enemies. Also you can use this power for overcoming traps and solving puzzles. Explore the world with Baxter, Heroes and Zoe. You have to complete rescue mission, then you will face Doctor Gunderson and his minions. So download this amazing offline game for your android device and start playing. Asphalt Nitro is one of the best and small in size racing game. It has really good graphics and game size is under 50MB. Take control of your favorite car, perform crazy stunts, fire up nitro to cross finish line. You can hit ramps and amazing speed machines for pushing your competitors behind. This game has 8 different master modes for racing on world’s beautiful locations. You can download Asphalt Nitro from Google Play Store to have fun in free time. It is among those lightweight offline android games that don’t require internet connection. Apple has a lot of popular offline games in their app store. But you need to find the best ones that you can play on your iOS device without internet. Check out some of the best games that you can play offline on your iPhone or any other iOS device. Unblock Me is a cool game that you can play offline when getting bored. In this game, you will need to solve puzzles by moving wooden blocks to up, down, left right. Sometimes you might get frustrated but this game is fun to play. Flow Free is another puzzle game like Unblock Me game that is completely free to play. Once you started playing Flow Free, you will get addicted to this game. In Flow Free game, you will need to connect same dot colors in a square grid. Start playing this game, have fun and enjoy the new difficult levels. It is one of those offline games iphone users can play to relax their mind and to enjoy their free time. Riptide GP Renegade is one of the most popular offline iPhone game that you shouldn’t be missing. It is available for both Android and iOS devices. The only drawback of this game is that it is not free to play. It you buy this game, then it is definitely worth it and you will not get disappointed. The amazing graphics quality makes it one of the popular racing game for iOS devices. BADLAND is one of the exciting offline game which has unique concept. The game costs around $2.5 but you will surely enjoy this adventurous game. It also comes with action and provides better gameplay experience. During the game, the characters keeps increasing, you must have to find a way to keep them alive or at least one of them. Not only you can enjoy difficult levels of this game, but also you can create your own levels as well. LIMBO is one of the amazing adventurous games to play offline. The game is about a mysterious world where a brother looks for his sister which is missing. In this mystery world, he finds out that place is dangerous and scary as well. For those people who loves adventurous games, we recommend you to try it at least once . This game costs around $5 but it definitely worth it. PinOut is one of the best iOS game that people of all ages can play. The game is easy to play and interesting as well. You need fine motor skills for advancing to next levels in the game. Even though the game is free, but you can try premium version as well that costs $1.99. With premium version, you can continue from the checkpoints rather than starting again. If you are a fan of Pinball game, then definitely you will love PinOut as well. Gangstar Vegas is one of the most popular game available for smartphone devices. If you have ever played Grand Theft Auto game series, then you will definitely love this game. It is a free open world game which millions of people from all around the world are playing on regular basis. Your goal in the game is simple, becoming top gangster of Las Vegas. Smash Bandits is well known racing game for iOS and android devices. With more than 100 challenges, you will love the amazing gameplay. Controls are easy and you have to smash police cars during chases. The more you smash, more bucks you will earn. It is the best racing game that you should need to try at least once. Nubs’ Adventure is a adventure game that you can play offline, no internet needed. Evil Reds destroys Nubs house and you have to help him rebuilding home. Explore 4 different worlds, solve puzzle to get diamonds for rebuilding Nubs house. It is a addicting game that you can play for time pass or when feeling boredom. Looking for a free arcade game that don’t use data or WiFi, then give a try to Polyforge. The game is unique, strike all sides and forge a new shape. Visuals are amazing, also avoid striking same side twice. Impact Blue Studios Pty Ltd has developed it and mobile devices are simple loving this game. Into the Dead is a endless first person running game. The hords of zombies take on prisoners and being the last survivor, you must have to escape. The longer you will run, more point and achievements you will get. These can help in leveling up for purchasing new weapons or upgrading your current ones. It is a great zombie game which is free to download and you can enjoy it anytime anywhere. N.O.V.A. 3 is another popular game developed by Gameloft. The game looks like Halo and features decent action and awesome graphics. If you like playing shooting games that brings more fun and features, then you should play N.O.V.A. 3 on your smartphone. Flippy Bottle Extreme is another action based interesting game. In the game you need to flip the bottle for landing perfectly on platform. Most Played Games has developed Flippy Bottle Extreme game. The game might looks easy but really it is difficult to play. While playing it, you might feel realistic bottle flipping. Download this game on your smartphone and start having fun. Gameloft Modern Combat series is one of the best First person shooting series for android. Modern Combat 5 is one of the most played android game. If you own a high end smartphone, then definitely you should give a try to Modern Combat 5 game. Improved visuals makes the game looks stunning. Not all modern combat series games are offline, only few are available offline. Modern 5 combat game is one of those games that don’t use Wifi and you can play without internet. Dan the Man is an arcade game that comes with 12 story model levels. It might look few levels but when you start playing this game, you will find these levels big. In these dozen levels, you have to uncover the secrets. After finishing the story mode, two bonus modes will unlock for you in the game as well. Dan the Man is a solid action game which we would recommend you to play right now. There are many best games available for iPhone and iPad devices and Table Top Racing is one of them. The game has high quality graphics and awesome gameplay to have unlimited fun. Give Table Top Racing a try and you will not get disappointed. Robots 3D is action packed first person shooting game developed by FourPointFive. In the game you can use different tactics and weapons to get on top of leaderboards. Player can customize controls and has controller gamepads support as well. So download this game right now and start playing this game on your mobile. Skate Lines is another great action game for smartphones developed by Agens AS. It has intuitive controls and simple gameplay for performing various tricks. Not only you can perform flips & tricks but can also record favorite lines and tricks with others. For skateboarding game lovers, it is a cool game to download and play offline. Hyperburner is a racing game that you can play offline on your smartphones. You will love the smooth controls and amazing visuals of this game. Instant respawns and fast gameplay makes the game more interesting. Play the game, unlock new ships and test your skills as well. You can run this game smoothly on 2GB RAM or above devices. Hop is a free arcade game that you can play offline without worrying about Wifi or internet. Simply touch screen right or left for guiding ball tile to tile. Try this addicting game and beat your friends best scores of this game. Beat Racer is a music genre based game developed by LILA SOFT. The game has really stunning graphics and easy controls. You need to collect beats through driving your car sideways. Jump for avoiding obstacles on the way. Your main objective is to defeat enemies and finish each stage for complete music. Also by collecting more gems and coins, you can upgrade your car as well. Cover Fire is a action game developed by Genera Games. In the game you have to build strategy for defeating your enemies. Level up your soldiers by taking killing arsenal’s weapons. With modern controls and HD graphics, you will get new shooting experience. You can play story mode and upgrade abilities and skills of your band members to make them stronger. Have you ever played Rocket league? If yes, then you will like Turbo league game as well. Turbo League is action packed racing game developed by Zero Four Games. The game offers player to drive cars fast with rocket engines and main objective is to hit the ball into the goal. The game has online multiplayer support, but you can play it offline on your device as well. atecrasher is one of the best role RPG game for smartphone users. The game offers various characters for users to play. Every character has some unique super powers and special abilities. We recommend you to check this game and you will love it for sure. Free offline games for PC are the great way to have fun on your computer. 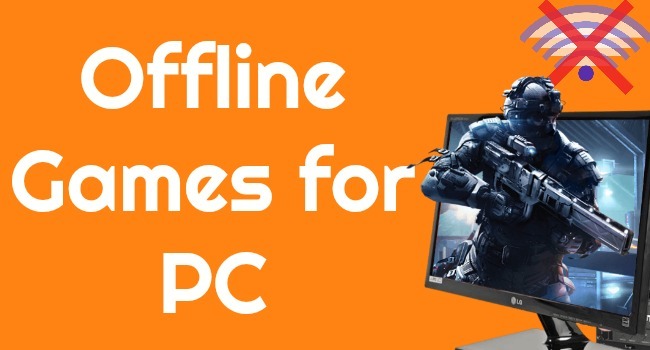 Below we are sharing some of the great PC games that you can play offline. Grand Theft Auto also known as GTA has become a popular game in the gaming industry. Millions of people across the world has become fan of GTA series. GTA is all in one game in which you can enjoy racing, completing missions and tasks and of course having action. Once you play this game on your PC, you will surely become addicted to GTA games. Need for Speed is one of the most popular offline car racing game to play on your PC. The game features more than 60 racing cars from top manufacturers. Multiplayer modes enable you to challenge your friends for racing on your computer. Need for Speed is a great choice for those people who loves racing games. If you love to play shooting games, then you should need to try ShadowGun on your PC. The game has amazing sound effects and awesome graphics. It come with wide range of weapons. As you progress in the game, you can upgrade these weapons as well. In short, ShadowGun is free action packed offline game that you can play on your PC. Being a soccer lover, you will love Fifa 09 game. This game comes with realistic graphics of soccer superstars. The cool thing about Fifa 09 is new match intro shows various team players. It is a great action based game that promises to deliver amazing experience to the soccer lovers. 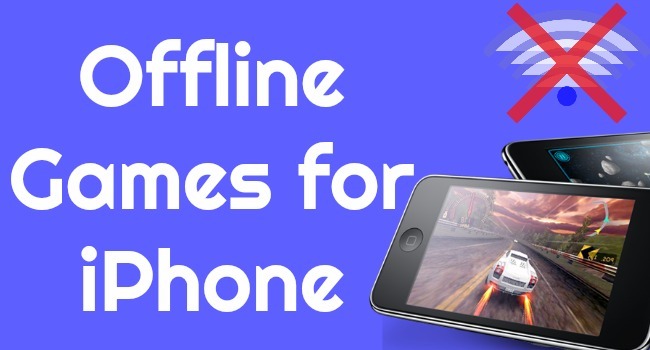 We have shared the best offline games for android, iOS, PC devices that you can play without internet. Now it’s your turn to pick the best one and start enjoying on your device in 2017. If you have any suggestion or query regards these offline games 2017, post them in comments.